I understand Helmut Lang is a very prestigious designer. His $600 parka, however, looks like a big ugly sack. Who wants to spend all that time at the gym if your new-found size 4 looks like a 16? Michelin Man coat? Bad. 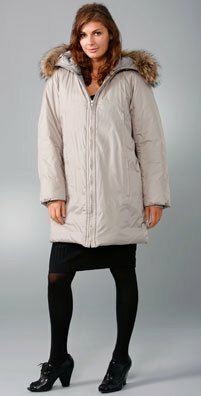 Puffy coat that shows your curves? Good. For those in need of a demonstration, behold the dos and don'ts of donning winter's most cozy jacket. 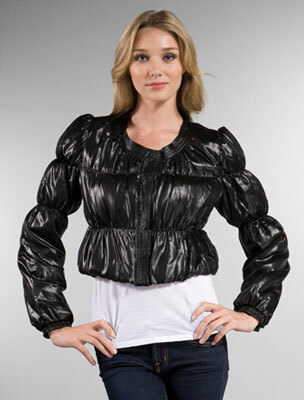 I'm not sure what was going through the minds of the designers when they created this LaRok Puff Breaker jacket ($268), but it reminds me of Missy Elliot's Supa Dupa Fly getup - you know, the black Hefty bag? A better (read: warmer, more sophisticated, more stylish) option is the Nine West Cropped Puffer jacket ($80). It has long lines and plenty of warmth, but the unique wrap shape gives the impression that you still have a figure under all that polyfill. I understand Helmut Lang is a very prestigious designer. This $600 coat, however, looks like a big ugly sack. Who wants to spend all that time at the gym if your new-found size 4 looks like a 16? If you're going to wear white -- which looks uber-chic in winter -- at least make it a crisp white with pretty accents and a tailored fit. 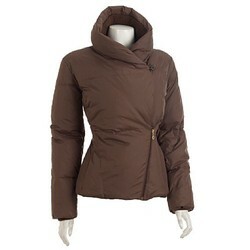 This Juicy Couture Angel Button Puffer Coat ($400) is a fine example. For budget-chic, check out this longer-length Mossimo look-alike at Target ($50). Craving a long coat? See the right and wrong ways to wear a full-length puffer.